After having spent a week in Kathmandu it is time to leave again. It has been great to see friends and be back in the city for a few days, however, the current road widening campaign that is going on all over the city makes getting around even harder. Last year, the Nepali government (whichever that was – it is changing all the time) decided that the roads inside the Kathmandu Valley can no longer deal with the increased traffic and had to be widened. According to government sources, there were 48,188 registered vehicles in the Kathmandu Valley in 1992 and the total length of the road network in the area was 1,595km. There are now 567,670 vehicles in the Kathmandu Valley and the road network had never been expanded! This is all very well and probably needed, however, the problem is that the whole city is being dug up at the moment and many buildings are being torn down. The capital is currently looking like a warzone or an earthquake-struck area. It also makes biking more of a hazard as huge bricks are likely to be thrown off buildings threatening to smash your skull or the dust particles settling in your lungs are trying to cut off your breathing. 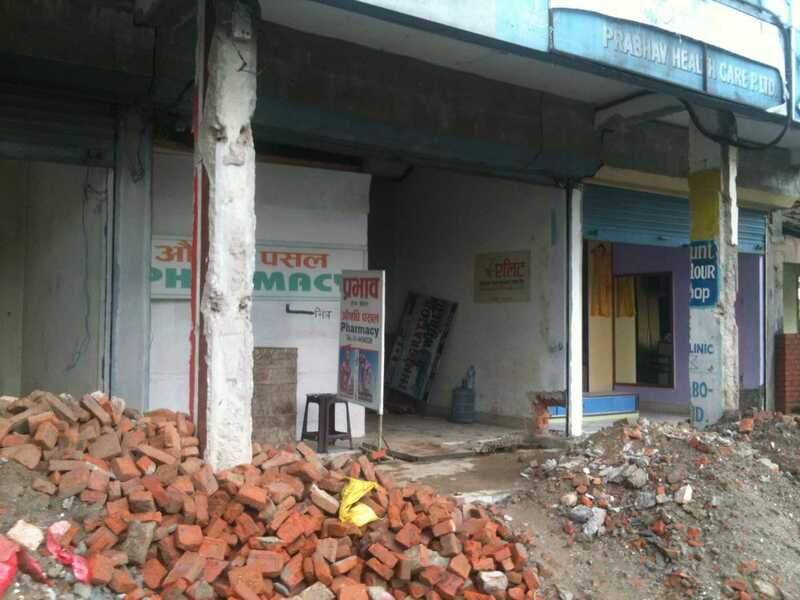 What amazes me though is the business sense of the Nepali people as even though half their shops are being torn down in front of their eyes, they are still running their business. When I went to see my lovely photocopy man I was worried that he would not be able to deal with the forms I needed photocopied for Miss Hawley. He was standing in on top of a huge mount of rubble sorting his selection of pens in a little display stand that was teetering at the edge of the pile. On entering, I gave him a quizzical look showing him my papers. “Madam, of course we can make photocopy but at the moment there is no power,” he smiled. The lack of power was not related to the demolition work as we are still faced with up to 10 hours of load shedding per day. As usual I left my mastercopies with him and he told me to come back the following day as he would have a few hours of power in the evening. Despite having his shop demolished to make space for a wider road as well as dealing with power cuts, the photocopy man was still smiling and getting on with his business. Amazing! 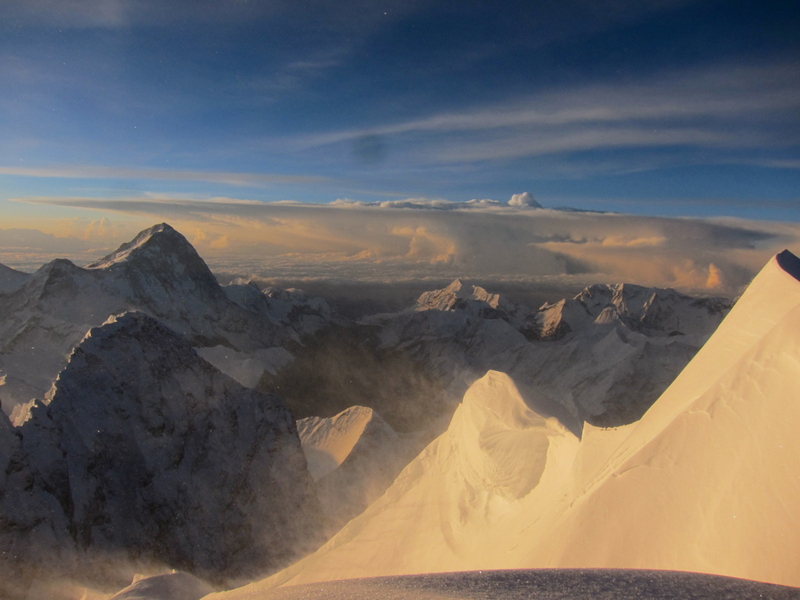 The autumn climbing season is slowly beginning and teams are starting to trickle in. I will not be here to see most of them this season, however, I am very lucky as Alex, a young American girl, is helping us this autumn. We have already seen some teams together and she will be left to her own devices as of Wednesday but I think she will be doing a great job in chasing down the teams. On 29 August, our team consisting of Laura and Yuri from Mexico, Patrick from Germany, Johannes from Austria, Andreas and Suzanne (our leader) from Switzerland and I will be flying to Tumlingtar in the East of the country, where we will get into a jeep and drive to Num. When I did this trek in 2001, we had to start our walk in Tumlingtar, which I remember was very hard work due to the blistering heat down there (Tumlingtar lies at an altitude of 400m only, which is actually 350m lower than my hometown Garmisch-Partenkirchen). We will then start our trek in Num (1,500m) and it should take us around eight days to get to Hillary Base Camp, which at 4,700m is the lower of the two BCs. After a few days of acclimatising there we will continue up to Advanced Base Camp (5,300m) which will become our home for the expedition. I will try and update this site as frequently as I can, however, also check Kobler & Partner’s website for more news. Thanks to everyone who is following this blog and supporting me on this expedition, especially to my mum and sister, who always suffer when I go and climb these high mountains. Best of luck on your latest climb! I’ll be watching and sending you my sparkly energy, too. Have fun and stay safe. Billy, hab viel Freude in den Bergen und natürlich auch viel Erfolg für eure expedition – immer wieder unendlich bewunderns- u beneidenswert !!!!!!! Happy and safe climbing Billi!! I will miss climbing a big mountain with you! I will be sending you good energy!